Fédération Internationale de Motocyclisme, or the International Motorcycling Federation, is appealing to the Olympic Committee to have Trial-E added as a sport to the 2024 Summer Olympics. Every four years the world's best athletes gather to compete in the most recognised and celebrated sporting event known as the Olympics. While the history of the Olympics is ancient, it began with just a handful of 'games', but today in the modern era, the Olympics have embraced all kinds of sports. If the ultimate goal is to test athleticism, strength, speed and stamina, it's safe to say that a number of different motorcycling sporting events rightfully deserve to be in the Olympics. Trial-E is one such sport where riders are known to display tremendous amounts of athleticism and amazing abilities of the human body. Trials riding is an amazingly difficult sport, which requires years of practice, peak athleticism and incredible control. We think it would be a great addition to the games, and so does the FIM (Fédération Internationale de Motocyclisme). The FIM has just appealed to the Olympic Committee to have Trial-E added as a sport to the 2024 Summer Olympics, which will be held in Paris. To make a strong case for Trial-E inclusion into the upcoming Olympics, FIM Vice President and French Motorcycling Federation president Jacques Bolle, along with FIM honorary deputy president / French National Olympic Committee VP Jean-Pierre Mougin and three-time world Trials champion and director of the FIM Trial Commission Thierry Michaud, recently met with the Paris Olympics organising committee. It seems that motorsport in the Olympics will finally become a reality, and why not? New sports are always being added to the Olympics every year. In fact, the upcoming games in Tokyo 2020 will see baseball, softball, surfing, sports climbing, karate and skateboard as Olympic sports for the first time. 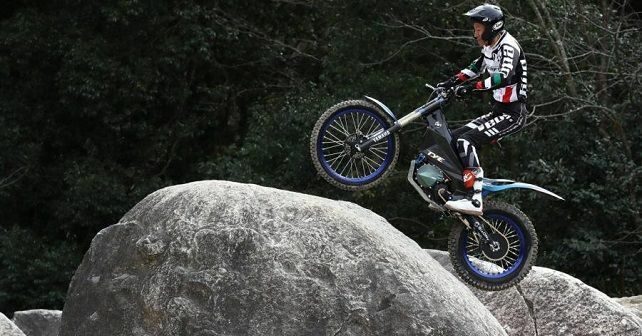 Trial-E is trials riding on electric motorbikes, and this will probably help make a case for the sport since it is also environmentally friendly. The current policy for inclusion of a sport is that it must be youth-focused, equally accessible for men and women, sustainable, spectacular, practised on all continents and requires no new infrastructure. Trials riding fits all these criteria perfectly. We will have to wait until the 2020 Olympics are over before we hear any new information on this.